Home » filmnews » ‘Premaku Raincheck‘. Is the title justified? 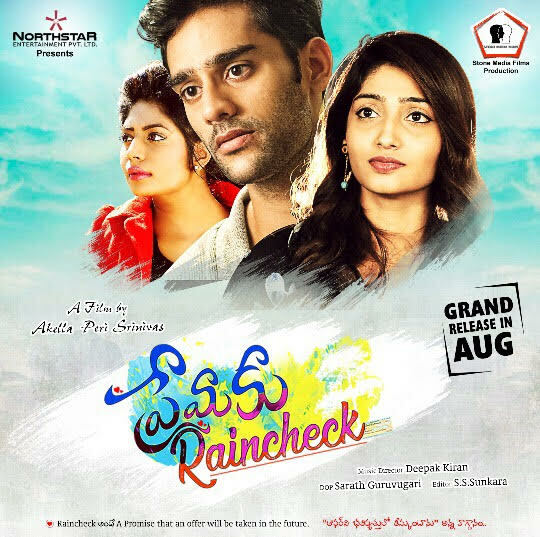 Sharrath Marar’s Northstar Entertainment Presents Stone Media Films Production ‘Premaku Raincheck’ is in post production process and is expecting to release in August 2018. Premaku Raincheck has already launched it's theme logo, the Adventure Song lyrical and the Zumba (riddles) song lyrical. The director gave the plot line and mentioned that it is the story of a guy who believes having romance in office affects career and also affects love. Therefore, the protagonist does not like people having romance in office and he prefers not to have romance in office. In the new office that he joins, he happens to meet a beautiful, smart, intellectually compatible, hard working, loving and affectionate girl. Love grows on both sides. How he complicates his life with his principle by giving Raincheck to love and how the girl’s life gets complicated forms the story. The protagonists work in Adventure Sports Management company. The Director said “The Adventure Sports Management company gave very interesting elements for Romance and the story setting, narration became very unique. For authenticity, we had one full schedule in Uttarakhand for shooting Land, Water and Air related adventure sports activities. In the office, we tried to bring in office humor, that is very interesting to watch”. While we leave you to figure out the answers by listening to the songs, what's exciting about this song is the way these lyrics are blend into the song and the music that makes you tap your feet. Another interesting aspect of it is that it sung by an African singer Timothy, the choice looks justified considering the different texture and tonality the voice brings to this song. The film features newcomers Abhilash Vadada, Priya Vadlamani and Mounika Tamanam in the lead roles, the film's music is by Deepak Kiran and Sarath Guruvugari is the Director of Photography. The first two songs, Adventure Song and Zumba are in completely different genres and are exciting to listen to. Along with it, the Premaku Raincheck theme music has raised the bar on the expectations on the music. Now, this brings to an interesting aspect. They say it is a love story, the heart and soul of love stories is melody. The real question is ‘Where is the melody number?’ and The Director Akella Peri Srinivas says:’ Coming Soon... Watch this space’.